NinjaBee Games: Trick AND Treat with the Keflings this October! Keflings fans will get the chance to Trick and Treat this month thanks to two new kingdoms, graveyard and candy, coming as DLC to A World of Keflings on Xbox Live Arcade. Both DLC packs will arrive in time for Halloween with ‘Sugar, Spice and Not So Nice’ (the candy DLC) releasing Wednesday Oct. 10 for 320 Microsoft Points. In ‘The Curse of The Zombiesaurus’ gamers will play as their avatar and put a horde of zombie Keflings known as ‘Spooklings’ to work gathering bones out of graves, brimstone from volcanoes and ectoplasm off of ghosts. They’ll meet a new cast of ghoulish Keflings including Wilhelm the grave keeper and Count Kefula who need their help in rebuilding their eerily amusing graveyard town, which was recently decimated by the raging Zombiesaurus. 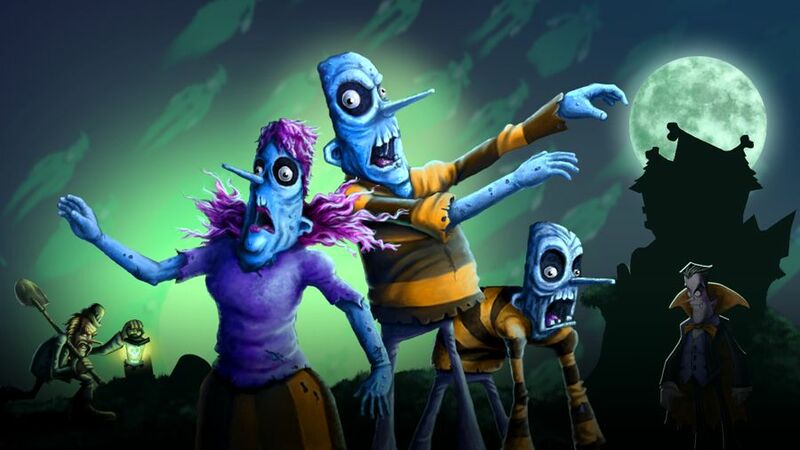 Both ‘Sugar, Spice and Not So Nice’ and ‘The Curse of the Zombiesaurus’ include new achievements for players and new unlockable in-game emotes for their avatars. Those who don’t own A World of Keflings can pick up a copy next week at half price (400 MS Points) when it goes on sale as Xbox Live’s Deal of the Week beginning Tuesday Oct. 9. It doesn't say when the zombie one will hit the market place?? ?